UPDATE: Due to a death in our Youth instructor’s family, this event has been cancelled. Apologies for the inconvenience. Are you a young adult who’s not sure if they want to get into coding? Interested, but intimidated by advanced programming languages? Simply want to learn a new technological skill that could open the door to future opportunities? 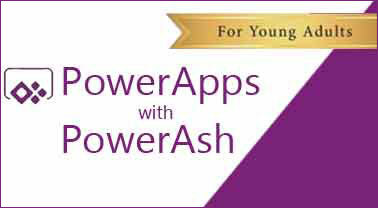 PowerApps is for you! Following the success of similar classes in New Zealand, Ashlee and Paul Culmsee are back in Perth with a PowerApps hackathon targeted specifically at young adults. PowerApps is a Microsoft service which allows nontechnical users to build mobile applications for business and share them securely within organisations. PowerApps skills are becoming increasingly sought after in organisations, and it is a good way to dip your toes in and give coding a go without having to learn complex languages. Best of all, no IT, developer, or advanced programming knowledge is needed! If you’ve ever done a basic formula in Excel or used a graphic calculator you have all the skills you need. This class will be covering the basics of PowerApps and Flow, and will touch on a small bit of SharePoint. NOTE: This event is for young adults (16-26) STRICTLY NO PROFESSIONALS!